The first Fit Fab Fest is happening. 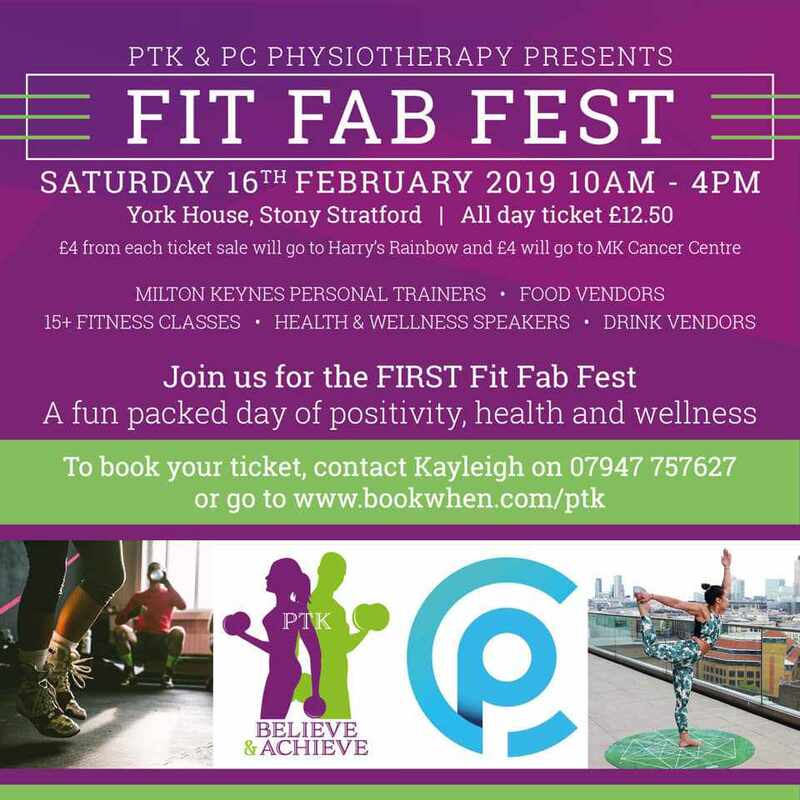 We aim to bring people together who share the passion of fitness and well-being, by collaborating with other fitness and wellness professionals to provide a fun, positive and empowering day to individuals in Milton Keynes. On the day you will have the opportunity to try out a WIDE variety of exercises classes you may not have thought about going to before, and some you already like going to, you will have the opportunity to listen to some AMAZING professionals who will empower you with knowledge that you can take away to implement into your lifestyle, you will be surrounded by like minded people, speak to local businesses who will have stalls and much more. This day is guaranteed to have you buzzing with excitement to either keep up your healthy new lifestyle and feel motivated to carry on, or even kick start you on a whole new healthy journey. We have something for everyone!